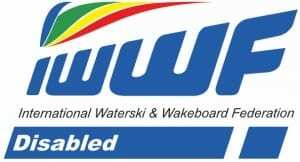 The IWWF World Council for Disabled Water Skiing shall be composed of a minimum of three members and a maximum seven, not including an athlete’s representative. The number of members of a council will be determined by the Congress; TC has seven members. Only Federations directly engaged in the specific division shall be entitled to propose candidates for Council or vote.The elections take place in the even numbered years at the IWWF Europe & Africa Election Congress which is usually held on the last weekend of January. The importance of having an active athlete on a Council cannot be stressed too strongly. They are valuable members of a team that must understand that the athlete is on the Council for the benefit of the sport as a whole while representing the views of all involved athletes. Serving Officers are eligible for re-election. New candidates for election must be proposed by their own Federation. Retiring members may stand for re-election at their own choice. All Federations shall be informed of the list of candidates at the same time as the Congress Agenda is circulated. A person may not stand for election for more than one Divisional Council.